Madden’s playing career was cut short by a training camp injury to his knee in 1958 after he was a 21st round pick in the draft that year. The knee injury was the second to his joint and it robbed him of a chance to ever play a professional snap. Madden landed on his feet though by turning to coaching. He moved quickly through the college ranks before landing a job on the Oakland Raiders staff, winning Super Bowl XI as the head coach of the silver and black. His coaching knowledge transferred well to the booth, where he was able to break down plays and formations on NFL telecasts in a way that had not been done before. His career saw him appear as the color commentator on all four broadcast networks, while his biggest legacy is the Madden video game franchise that still carries his name in 2018. Hearn was a broadcasting legend in the City of Angels thanks to his work with the LA Lakers for 45 years. After missing a Lakers game in November 1965 after being stranded in Fayetteville, Arkansas, after calling a college game, Hearn began a broadcasting streak of epic proportions. Hearn’s next missed Lakers game would come in December 2001. That was a span of 3,338 consecutive Lakers game broadcast by the legendary figure. The streak only ended because of heart bypass surgery, with Hearn calling more Lakers games in 2002. While his Lakers work is the stuff of legend, Hearn had a greater impact on basketball too. Key phrases such as “dribble-drive”, “air ball”, and “slam dunk” are credited as his inventions, meaning that without Hearn, basketball lexicon would be completely different today. Michaels is a jack of all trades in the best way when it comes to calling sports. After an early career that saw him covering anything and everything for a variety of networks, he was retained by ABC Sports as a backup announcer for their Monday Night Baseball program in 1976. Sensing something great in Michaels, the network picked him up on a full time basis in 1977. It was during this run that Michaels’ most famous call was made. The 1980 Winter Olympic Games came at a time where tensions between the Soviet Union and the USA were at an all-time high. The sporting arena became the newest political battlefield and that is where Michaels covered the famous Miracle on Ice hockey game between the two countries. The “Do you believe in miracles? YES!” call to signify the end of the game is still one of the greatest calls in the history of sports. Michaels is also notable because he was basically traded from ABC to NBC in 2006 for the rights to the next four Ryder Cup tournaments and a cartoon character named Oswald the Rabbit. Caray made his name as a baseball announcer, but he actually started his career calling games for the St. Louis Flyers hockey team. It was this gig that got him an in with the St. Louis Cardinals, with Caray announcing three World Series with the team alongside fellow Hall of Fame announcer Jack Buck. After calling games in his hometown for 25 years the Cardinals decided that it was time to put Caray out to pasture. The rumors surrounding this change in direction go a few different ways, but none of them had anything to do with Caray’s lack of skill behind a microphone. One year with the Oakland A’s followed, before Caray spent the remainder of his career in Chicago with either the White Sox or the Cubs. 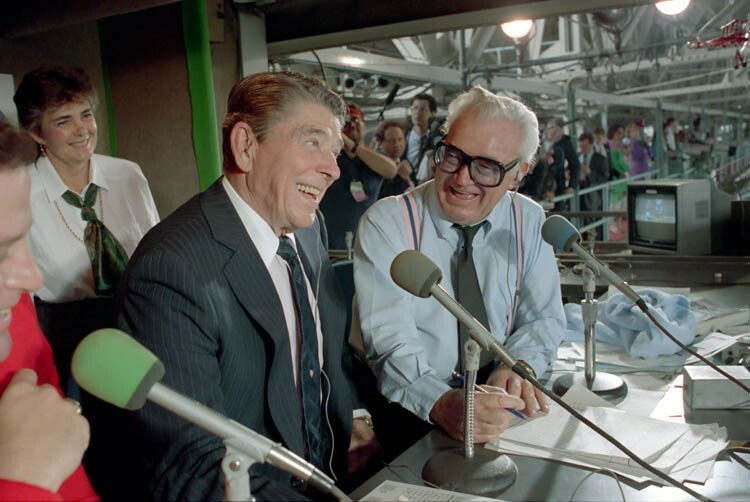 While Caray’s cry of “Holy Cow” was certainly unique, it is his dedication to popularizing the Seventh-Inning Stretch – and specifically his renditions of Take Me Out to the Ball Game that maybe most defines his career. Cosell took a different path into the booth than any other announcer on this list. After fighting in WWII and gaining the rank of major, Cosell practiced law upon leaving the service. This seemed to be set as his career, but Cosell took an unpaid job hosting a Little League radio show in 1953 that changed his priorities and his life path. Leaving law to become a full time broadcaster, Cosell made his name covering boxing and, specifically, Cassius Clay/Muhammad Ali. What made Cosell stand out what his unique approach to broadcasting where he used all his prior life experience – along with his undoubted intelligence – to give the events he was covering more of a “hard” news approach. This style was the one that Roone Arledge needed for his new Monday Night Football show in 1970, the first time in 15 years the sport was broadcast weekly in primetime. Cosell made the show a success and it is fair to say the NFL wouldn’t be where it is today without his voice in those formative broadcast years. Joe Buck may be one of the premier announcers on broadcast TV today, but he has a lot to live up to if he ever wants to achieve the legendary status in the industry that his father holds. Buck began his career alongside the previously mentioned Caray with the St. Louis Cardinals in 1954, with his descriptive style and deep voice proving soothing and interesting at the same time. He became the team’s lead play-by-play guy in 1969, by which point he had already begun covering NFL games for CBS. Vitale is sure to be a polarizing figure on this list as you either love or hate his style when it comes to calling college basketball games. Vitale saw himself as a coach when he was approached by the then fledgling ESPN about calling college basketball games for the network in 1979. 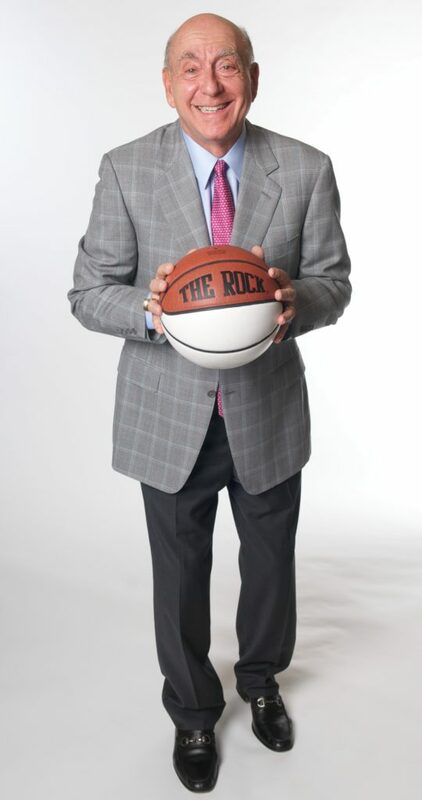 He has previously coached at a couple of high schools, with Rutgers in college, and with the Detroit Pistons. 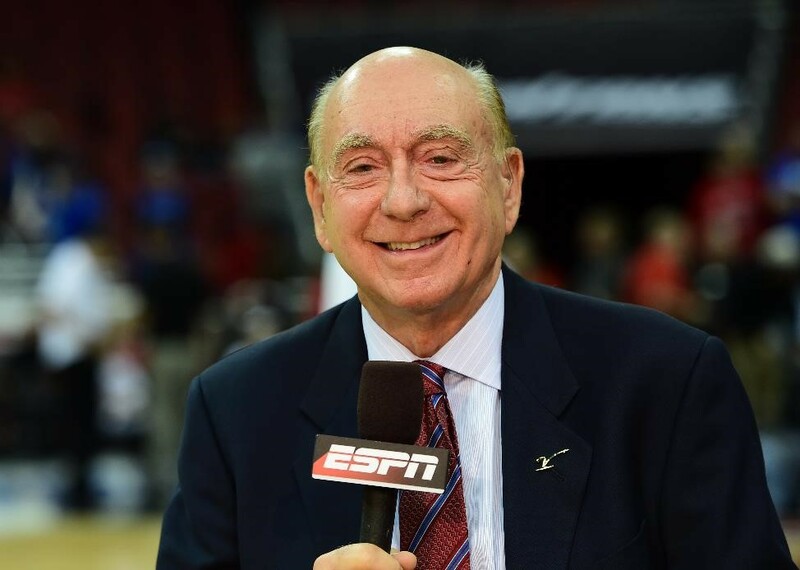 Feeling that there could be no harm in calling a few games between gigs, Vitale eventually accepted the offer on a temporary basis and actually called the first college basketball game on ESPN which saw DePaul beat Wisconsin. Vitale never coached again, with fans seeming to like that he wasn’t as polished and robotic as some of the other announcers out there. The Basketball Hall of Famer has a quality that can’t be taught and a way of connecting with sport fans that most broadcasters just can’t match. 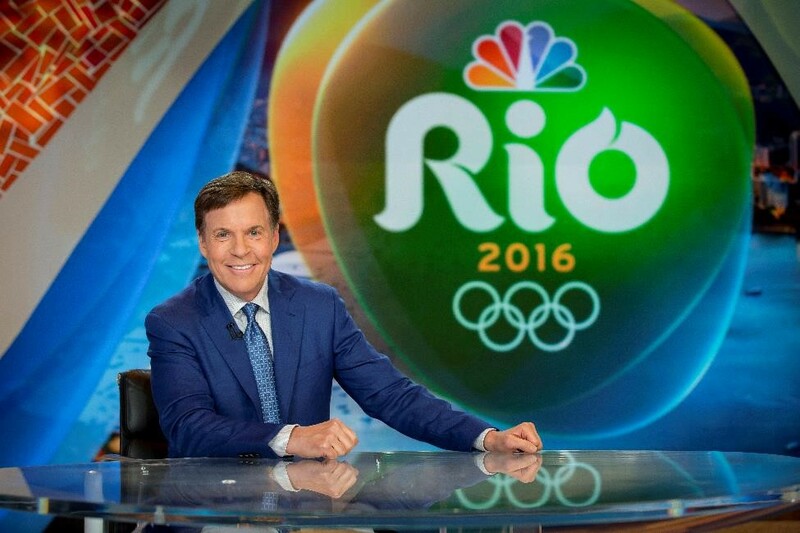 Costas is a glue guy who has been with NBC since 1979, lending his hand to just about every sport the network has covered in that time frame at some point or another. He has the ability – like Michaels – to lend a level of gravitas to his coverage, with his political and social views often coming through in his work. 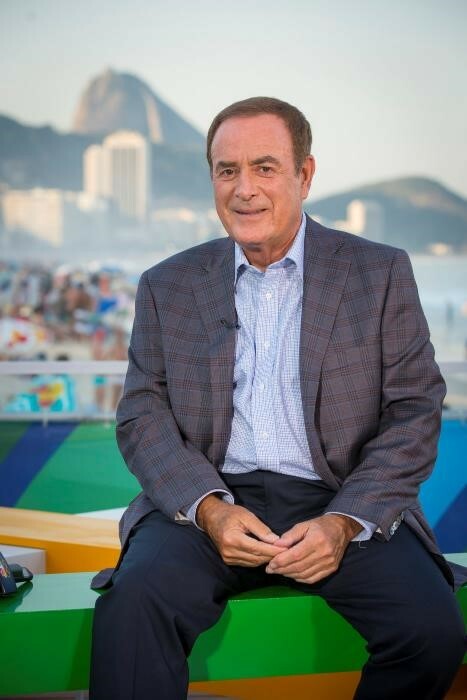 Costas is probably best known for his Olympic coverage with the network where he was the prime-time host of the Games from 1992 in Barcelona to 2016 in Rio. This saw him cover a total of 11 Olympic Games, beaming into the homes of Americans as they got in from work and sat down to watch the highlights of the day. He was also the host of Football Night in America until 2017 when he was replaced by Mike Tirico. Jim Ross might not be a sportscaster in the traditional sense, but in terms of adding levity and grandeur to big moments in the history of his chosen craft there are few better in history. Ross may have been born on the West Coast, but he was raised in Norman, Oklahoma, and his distinctive Southern drawl is one that wrestling – and boxing – fans can pick out in an instant. Working for the WWF/WWE during their height of the company’s success in the “Attitude Era” of the late 1990s, Ross got to call predetermined matches and yet still make them feel like they were the most important sporting events on the planet. Ross’ most famous call as an announcer for the squared circle came at King of the Ring 1998 in a brutal match between Undertaker and Mankind. As Mankind was thrown from the top of the 20 foot Hell in a Cell structure, Ross screamed, “As God as my witness, he is broken in half”. It is a classic call that is played to this day.